I am not too fond of Bananas but there are a few exceptions.Like a Sharjah shake perhaps(recipe coming soon)or maybe a Chocolate Banana Cake.You wouldn't catch me eating a ripe banana off the fruit counter,that's for sure.So how about Banana which has crossed its prime,that's only good for a cake I believed. 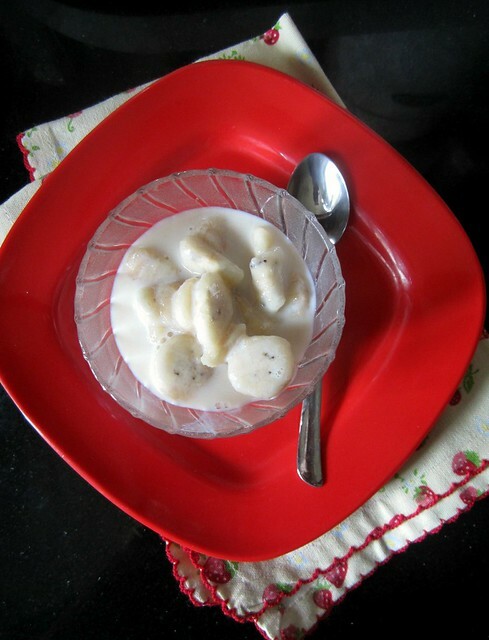 Last week,when in-laws were here my ma-in-law decided to make this as she felt the weather here was perfect for a chilled milk-fruit based dessert.I was surprised at how easy it was made and how delicious it tasted chilled.I have made a similar version many moons ago.A friend of ours tasted this and said it was Pazha madhuram,something which was made by his grandma during his childhood days.So there. 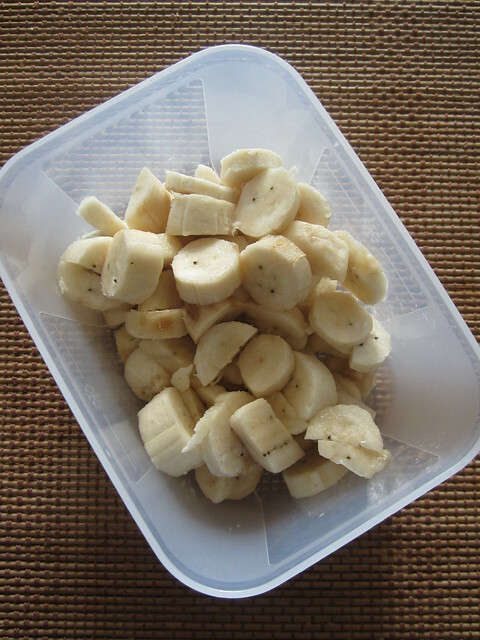 Cut the bananas into small bite size pieces. Mix in the milk and the condensed milk(or sugar) and add cardamom powder. 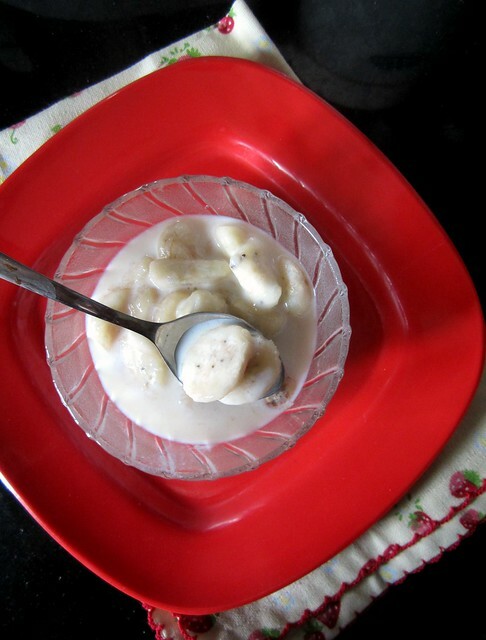 Add either sugar or condensed milk(not both as we have done) as that would result in super sweet harshaale.We added more banana and milk to balance the taste. Make sure you chill it for at least 2 hours only then the flavors would set in. Wow! This looks amazing. My mother makes a similar dish "SIKRAN" but she use fresh thick curd with lots of sugar, rosewater and cardamom powder. Thats a super delicious dessert i must say,makes me nostalgic. 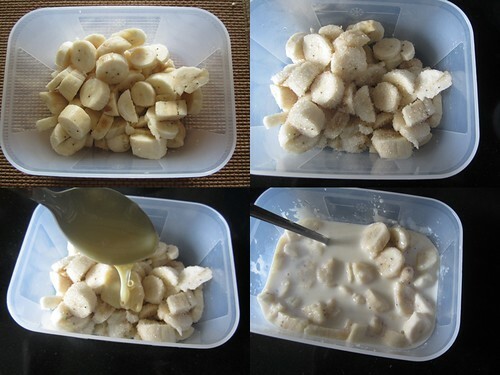 Good recipe to use ripe banana's...simple to make and tasty! Had it at a restaurant and looks like a simple recipe. Never had it before. Seeing it for the first time. Looks so yummy and tempting.